The New Year brings with it another cold and flu season, not to mention all of those other nasty winter bugs. That tell-tale tickle in your throat let's you know that your body/immune system is preparing to go into battle against another bug... most likely a cold or flu virus. 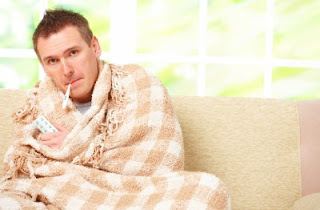 Do you know the difference between a common cold and the flu? 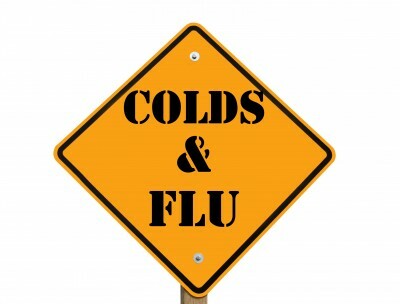 A cold tends to have a gradual buildup of symptoms (congestion, sore throat, cough etc.). With a cold you can often muddle through much of your day-to-day life. While a flu virus tends to hit you hard and fast... fever, headache, fatigue, achy body, sore throat, congestion, cough... you may be unable to function at your day-to-day tasks... typically lasting 1 week. Your immune system is the key to your recovery. #1. 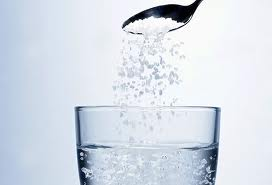 Gargle with salt water - for quick and effective post nasal drip and/or sore throat relief, nothing beats an old-fashioned saltwater gargle. Salt acts as a mild antiseptic, and due to osmosis, helps draws water out of mucous membranes in the throat, which helps to clear congestion. #2. Steam your sinuses - to ease your congestion and drippy nose. Hold your head over a bowl of freshly boiled water - breathe through your nose. *Be cautious. Inhale slow deep breaths. (Add 4 drops of Purple Essentials Cold & Flu Blend of pure essential oils to the hot water and this can help to reduce your congestion and discomfort) Moisture from a hot shower with the door closed, saline nasal spray, or a room humidifier is just as helpful to ease congestion. #3. Blow your nose - often. Do not "sniff" the mucous back into your sinuses. This can actually add to your discomfort and lead to sinus and ear ache. #4. Drink hot liquids - coating the tissue in your throat with warm liquid provides a benefit similar to applying hot packs to inflammation and swelling on skin. Magic Recovery Drink - Anytime you feel "under the weather" with a variety of symptoms, this drink can help in a number of ways. ... getting you on the road to a speedy recovery. Peel ginger skin and discard, then finely grate ginger pieces until you get one-and-a-half tablespoons worth. 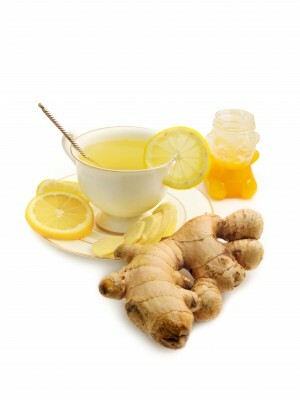 Place the grated ginger into mug and pour the boiled water over it. Add lemon juice and honey. Allow to steep for 3 minutes and stir. (If you aren't fond of ginger you can use just the lemon and honey - it will still help). Drink 3 -4 times per day. #5. 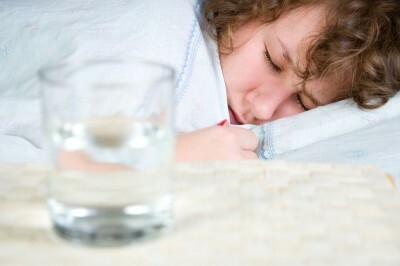 Sleep - Common sense dictates staying in bed or at least resting when a cold or flu virus has you down. Taking it easy leaves more energy to fight the germs and get you on the road to recovery and back to a healthy and happy state. To help drain nasal passages, try an extra pillow under your head... if the angle is uncomfortable, place a pillow between box spring and mattress (where your head lays). If you have severe symptoms or your symptoms worsen - see your physician. * This information is solely for informational purposes. NOT INTENDED TO PROVIDE MEDICAL ADVICE. Keep these tips in mind, next time you or a loved one are feeling "under the weather". Looking for ways to protect yourself and prevent a battle with the flu Look here.